Mind mapping helps you think, collect knowledge, remember and create ideas. Learn more about how to mind map. How can I create and edit mind maps? This Mind Map Editor help explains how to create and edit mind maps with SimpleMind. What kind of Mind Maps can I make with SimpleMind Pro? Mind Maps are used in wildly different ways. The examples below show a small selection. For example, you want to use SimpleMind on your Windows laptop and your Android device. You purchase a license SimpleMind for Windows and a license SimpleMind for Android. SimpleMind is a one-time purchase, there are no subscriptions or monthly fees. Where can I buy SimpleMind? You can purchase SimpleMind for Mac and/or Windows, via our website, from MyCommerce. SimpleMind for iPad/iPhone is sold via Apple’s App Store only. SimpleMind for Android is sold via Google Play only. Please note: When you purchase SimpleMind in Apple's App Store or the Google Play Store, their terms and conditions apply. You can ask a refund only in the first hour and only in that store. What’s the difference between the Lite and the Pro edition? What’s the difference between the Apple App Store edition and the SimpleApps edition? 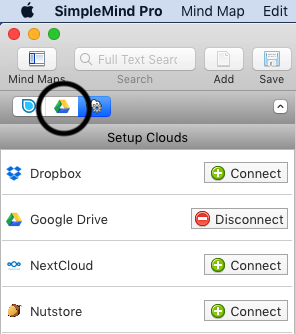 when opening mind maps directly from Finder, or a cloud app, you cannot open or create links to mind maps, links to documents or store full size images in the cloud. Because of that we recommend the SimpleApps edition. The language is set by the system settings of your device. In SimpleMind for Windows you set and change the language using the main menu SimpleMind - Preferences - General options. We like to keep it simple. You need one license per platform (Mac, Windows, Android and iPad & iPhone) and you pay only for the platforms you use. SimpleMind is sold at the sharpest price possible per platform. Always. As a result, we have no special discounts, such as student or reseller discounts. There is no discount if you purchase a license for another platform. We do offer multiple desktop licenses at a very large discount, those prices are visible when you purchase SimpleMind Desktop. How can I install SimpleMind on my other/new Mac? How you (re)install SimpleMind depends on where you purchased it. SimpleApps edition – Use the original download and activation e-mail to (re)install SimpleMind. Should you not have this, please contact us and include the original e-mail address and order number or include a screenshot of SimpleMind – About. Create and restore a back-up of the local mind maps. How can I keep working with the mind maps I made in SimpleMind Lite? You can transfer the mind maps made with SimpleMind Lite for Mac to SimpleMind Pro for Mac. Run SimpleMind Lite. From the main menu select “SimpleMind” →”SimpleMind Preferences” and select the tab “Local Mind Maps”. Click “Export Mind Map Store”. Choose a filename and location, for example the desktop. Start SimpleMind Pro. From the main menu select “SimpleMind” → “SimpleMind Preferences” and select the tab “Local Mind Maps”. Click “Import Mind Map Store” and select and import the .smmstore file you just created with SimpleMind Lite. Check if all mind maps are imported into SimpleMind Pro. You can uninstall SimpleMind Lite afterwards. How can I keep working with the mind maps I made in the Trial? SimpleMind shares the mind maps and settings with the SimpleMind Trial. After installing SimpleMind Pro you continue working where you left off. 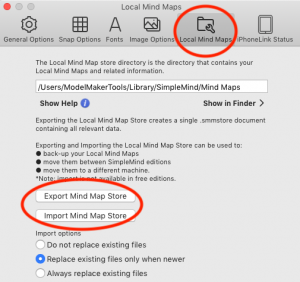 Only if you purchase SimpleMind Desktop for Mac via the App Store and you created Local mind maps, you need to manually transfer the mind maps. SimpleMind won’t start, I see an activation window. This means you still need to activate SimpleMind. Check this video. The SimpleMind Trial and SimpleMind Pro are two different applications. Make sure to start the right SimpleMind.app. 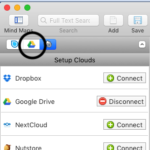 We recommend to use Finder to search and delete the SimpleMind trial.app. Can I open my mind maps on all my devices? You can open your mind maps on all your devices that have SimpleMind Pro installed. The easiest way is to sync your mind maps. 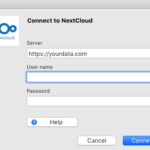 To do so you can use built-in clouds or a cloud service. SimpleMind Pro uses built-in clouds to synchronize your mind maps across devices and all platforms. After connecting SimpleMind Pro to the cloud, that cloud tab will be visible in SimpleMind. You can open and save mind maps from within SimpleMind, all changes will be synched to that cloud. 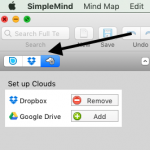 SimpleMind for Windows, SimpleMind for Mac and SimpleMind for iPad/iPhone can store mind maps in any folder. Because of that you can store mind maps in a folder that is synchronised by a cloud service. For example, iCloudDrive or the Dropbox app. This cloud service synchronises your mind maps. The AppStore edition is sandboxed. When you open a Mind Map this way, you cannot add or open links to external documents or mind maps. 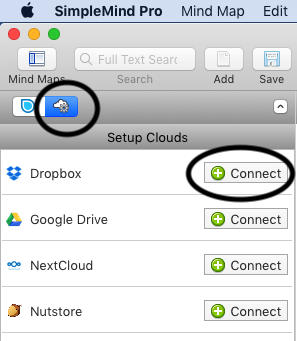 Step 1: Connect SimpleMind for Mac to Dropbox. 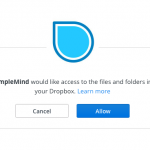 Allow SimpleMind access to Dropbox. Click this Dropbox tab the folders and files in Dropbox. Local mind maps are not synchronized with Dropbox. 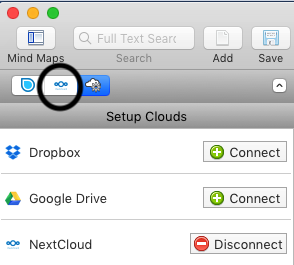 If you want to store and sync an (existing) local mind map on Dropbox, you need to copy the local mind maps to the Dropbox tab. This is a one-time copy. 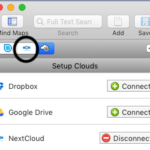 To copy, select the mind maps - right click – “Copy to Cloud” – “Copy to Dropbox”. Step 3: Work directly in the Dropbox tab. You can now create new mind maps that are synced directly with the cloud. All your changes are synced at regular intervals and at shutdown. To manually force synchronization, use the “Synchronize with Dropbox” command. SimpleMind for Mac can store mind maps anywhere, for example in “Documents”. Because you can store in any folder, you can store in a folder that is synchronised by a cloud service. For example iCloudDrive or the Dropbox app. SimpleMind relies on that cloud service to synchronise your mind maps. Use Finder to open mind maps, or use the “open” command in SimpleMind. Those mind maps are shown in the Files tab in SimpleMind. Note! The AppStore edition is sandboxed. When you open a Mind Map this way, you cannot add or open links to external documents or mind maps. How do I exchange mind maps with other devices running SimpleMind? Use a cloud, for example Dropbox, to automatically synchronize mind maps. This is the best way if you use SimpleMind on multiple devices. You will always have acces to the latest version of your mind map on on all your devices that have SimpleMind Pro. See how in above FAQ. 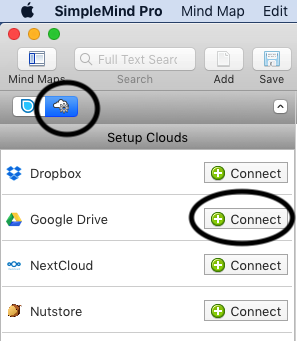 Create a shared cloud folder on a cloud when you want to share mindmaps permanently with others. Real time collaboration is not supported, only 1 person (device) should edit the mind map at the same time. Send your mind map via mail, or another app, in original .smmx format for a one-time transfer. How, and in what formats, can I export? SimpleMind Pro can export mind maps in different formats, for example as a .pdf or as an outline. SimpleMind Pro can import .smmx, .opml, .mm, txt and the table of contents of a .pdf. Sharing is possible only in SimpleMind Pro. See more Pro features here. Where are mind maps stored? In the private app data directory. These are local mind maps. Local mind maps are stored on your computer only. You need to manually back-up your data so is safe. Open mind maps via the local tab in SimpleMind. In one of the built-in clouds. The mind maps are stored in the cloud. All changes you make are automatically synchronised. You can access your mind maps on all your devices with SimpleMind Pro. Open mind maps via one of the cloud tabs in SimpleMind. You can store mind maps anywhere on your Mac, for example in "Documents". Open mind maps via Finder or the "open" command in SimpleMind. Those mind maps are shown in the Files tab in SimpleMind. Do I need to back-up? We strongly recommend to store your mind maps in a cloud. That way you don’t have to make a manual back-up. If you use Local mind maps, you can make a single back-up file with all your local mind maps. Do this on a regular basis and store those back-ups somewhere safe, for example a cloud or usb stick. That way, even if your device is lost or broken, you have access to your back-up. Read how to make a back-up. My trial expired, have I lost the mind maps? No, the mind maps are still stored on your Mac. 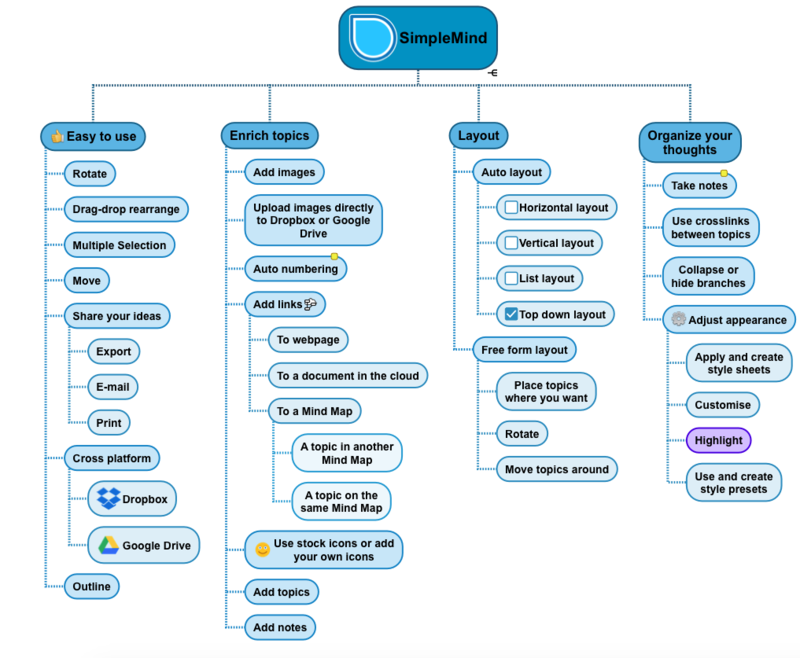 SimpleMind Pro shares the mind maps and settings with the trial version. After installing SimpleMind Pro you continue working where you left in the trial version. Also, uninstalling the SimpleMind trail will not remove your mind maps. 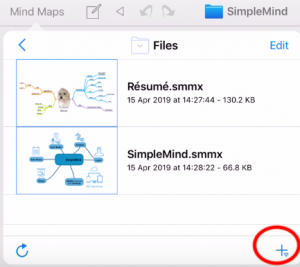 If you purchase SimpleMind via Apple’s App Store you need to manually transfer the mind maps from the trial to SimpleMind Pro App Store edition. I see a trash can image in the mind map. Deleting a local mind map moves it to the local trash folder. To remind you that you’ve deleted this mind map, the mind map displays a trash can image. To get rid of this, move the mind map to any other folder. The same applies to mind maps accidentally created in the trash folder. Use “Empty Trash” to completely and irreversibly delete the mind maps in the trash folder. Which keyboard shortcuts does SimpleMind support? Using the main menu you can explore all keyboard shortcuts. You can assign shortcuts via your Mac’s System Preferences. Can you restore my mind map? Mind maps not stored on our servers, nor do we have access to your mind maps or data. Therefore we cannot restore your mind maps. 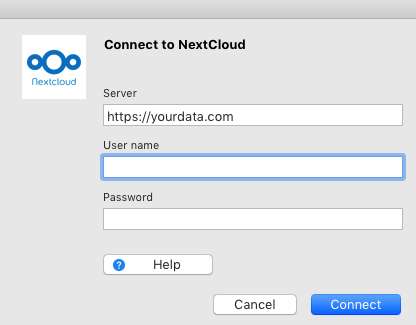 If you stored the mind map on a cloud, you may be able to restore a previous version of your mind map via the cloud's website. Some clouds, like Dropbox, can even restore a deleted file. Adding cross links (a link between 2 topics that are not hierarchally linked) is only possible in SimpleMind Pro. See more features that are available in SimpleMind Pro here. What data do you collect or share? Android, iPhone/iPad, Mac (App Store) We do not collect or have access to your personal data nor to your mind maps or any related data (voice memos, images etc.). SimpleMind Desktop, as sold via our website You purchase from on-line MyCommerce. MyCommerce takes care of order processing and delivery. Similar to how you purchase a book from a bookshop, not from the author (us, SimpleApps). After your order completed, MyCommerce forwards us your name, address, e-mail address and product keys. We store this in our customer database. We use this information to send you a copy of your registration details should you ever loose the original. MyCommerce does not give use payment details like credit card numbers. Your data is not shared with or sold to anyone else. We do not have access to your mind maps or any related data (voice memos, images etc.). We never share or sell your data. You’re our customer, not our product. Do I need an account to use SimpleMind? 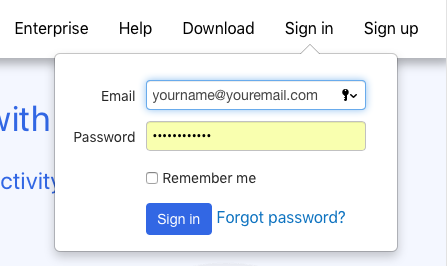 You do not need an account to use SimpleMind. Mind maps are not stored on our servers, there is no need to log in. 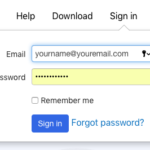 Does SimpleMind offer password protection? How can I install SimpleMind on my other/new Windows computer? You can use the original download and activation e-mail to (re)install SimpleMind. 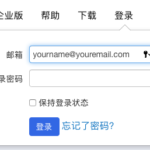 Should you not have this, please contact us and include the original e-mail address and order number or include the registration key as displayed in SimpleMind – About. Make a back-up of the local mind maps and import those on the new device. When you use multiple devices, use Dropbox or Google Drive to sync mind maps across devices. How can I keep working with the mind maps I made in the Windows trial? SimpleMind Pro for Windows shares the mind maps and settings with the SimpleMind Trial. When you first run SimpleMind Pro, you will see all the mind maps you created in the (expired) trial. This means the trial version was not replaced with SimpleMind Pro. Make sure you downloaded and installed SimpleMind Pro. Does the problem persist? This is usually caused by a virus scanner or something similar that blocked replacing the trial edition. To work around this, first uninstall the trial. Next temporarily disable the virus scanner and re-download and re-install SimpleMind Pro from the activation e-mail. Note: uninstalling the trial will not delete your existing mind maps. I am unable to download/the download file is corrupt. If you get an error message stating that the downloaded setup file is corrupt, this is either because the download was incomplete, or a virus scanner has blocked the download. You need to temporarily disable the virus scanner and re-download the setup. The virus scanner blocked the download. Recently some virus scanners report the trial contains a virus or a trojan. This is a false positive and you can install safely. Should this happen, please contact your virus scanner provider to update their virus definitions. If the download is blocked, you need to temporarily disable the virus scanner and re-download SimpleMind. The SimpleMind for Windows spellchecker uses US-English. You can install dictionaries in some other languages. SimpleMind for Windows can store mind maps anywhere on your computer. Because you can store in any folder, you can store in a folder that is synchronised by a cloud service. For example the Dropbox app or the Google Drive app. SimpleMind relies on that cloud service to synchronise your mind maps. How, and in what formats, can I export in SimpleMind for Windows? SimpleMind can export mind maps in different formats, for example as a .pdf or as an outline. SimpleMind can import .smmx, .opml, .mm, txt, and the table of contents of a .pdf. These are local mind maps. Local mind maps are stored on your computer only. Do not rename, alter or open those files from outside SimpleMind. It can, and will, damage your mind maps. To change or view the Local Mind Map Store directory, select from the main menu SimpleMind - Preferences - Local Mind Maps. Usually this is something like C:\Users\YOURNAME\Appdata\Roaming\ModelMakerTools\SimpleMind\1.0\ Never change the Local storage directory to a cloud directory like the Dropbox directory, you will damage the mind maps. In any folder or cloud. via the File Explorer or the cloud app. Mind maps opened that way are shown in the Files tab in SimpleMind. via the cloud tab in SimpleMind. 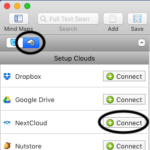 Connect SimpleMind to the cloud, this creates a cloud tab in SimpleMind. That way you can browse your folder and open mind maps from within SimpleMind. 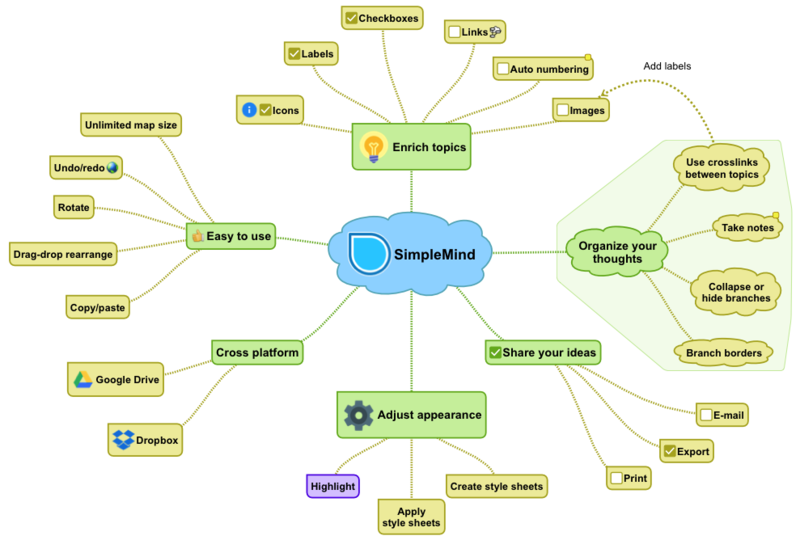 No, SimpleMind Pro shares the mind maps and settings with the trial version. After installing SimpleMind Pro you continue working where you left in the trial version. Also, uninstalling the SimpleMind trail will not remove your mind maps. Which keyboard shortcuts does SimpleMind for Windows support? Via the main menu use "SimpleMind Pro"- "Preferences" - “Keyboard shortcuts” to see a list of commands with active shortcut keys. Here you can change the keyboard shortcuts. What’s the difference between the Free and the Pro edition? What’s the difference between SimpleMind+ and SimpleMind Pro+? SimpleMind Pro+ is the full functionality App as sold from iTunes. Simplemind+, without in-app purchase, is a free edition with basic, but powerful, mind mapping features. Simplemind+, with in-app purchase has full functionality and is identical to SimpleMind Pro+. 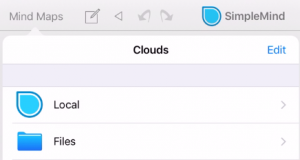 However, in SimpleMind Pro+ you can use Apple’s family sharing. In SimpleMind+ you cannot use family sharing. This is because Apple made in-app purchases not available for family sharing. How can I install SimpleMind on my other/new iPhone or iPad? You can install SimpleMind for iPad & iPhone on another iPad or iPhone, as long as you use the same Apple ID. Read how in Apple Support. Note! If you purchased SimpleMind Pro+, install SimpleMind Pro+. If you used in-app purchase in SimpleMind +, install SimpleMind+. If you change devices, make a back-up of the local mind maps and import those on the new device. 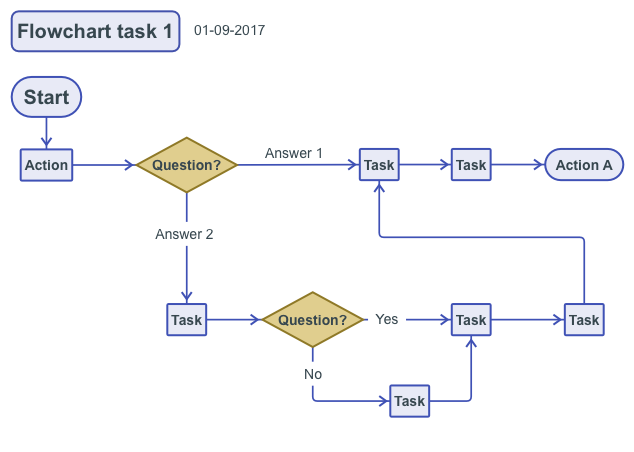 How can I keep working with the mind maps I made in SimpleMind+? You can transfer the mind maps made with SimpleMind+ to SimpleMind Pro. Open SimpleMind+ and tap “Mind Maps” or "Local". Tap the share icon (bottom of the screen) and select “Export via Email”. This creates an email with a single file attached that contains all your mind maps. Send this email to yourself. Locate this email in the Mail App. Select SimpleMind Pro to open the attachment. Check if SimpleMind Pro imported all mind maps. If so, you can uninstall SimpleMind+ afterwards. Download and (re-)install is not handled by SimpleApps, but by the store where you purchased SimpleMind. If you have any problems, please contact Apple Support. SimpleMind for iPad & iPhone can store mind maps anywhere. Open mind maps with the Files app, the Cloud app or SimpleMind. Those mind maps are shown in the "Files" tab in SimpleMind. Note! When you open a Mind Map this way, you cannot add or open links to external documents or mind maps because of Apple's security measures. First time using Files in SimpleMind? Tap the < icon to navigate back..
..until you see "Clouds" and click "Files". To open/create a new mind map click the "+" icon at the bottom of the screen. Tap "Open Mind Map" and browse (use the < icon) to the correct location. 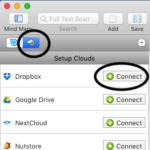 Or tap "Create Mind Map", name the mind map and select in what folder to create it (for example iCloud Drive). SimpleMind Pro can share mind maps in different formats, for example as a .pdf or as an outline. SimpleMind Pro can import native SimpleMind mind maps (.smmx), freeMind (.mm), .opml files, text files (.txt) and the table of contents of a .pdf. You can store mind maps in any of your Locations in Files. Open mind maps via the Files App or the Files tab in SimpleMind. The AppStore edition is sandboxed. When you open a mind map this way, via Files, you cannot add or open links to external documents or mind maps. When topics jump back after you moved them, you’re using an auto layout. 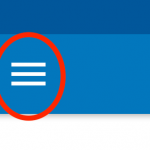 Click here to learn more about this and how to change this to a free form layout. 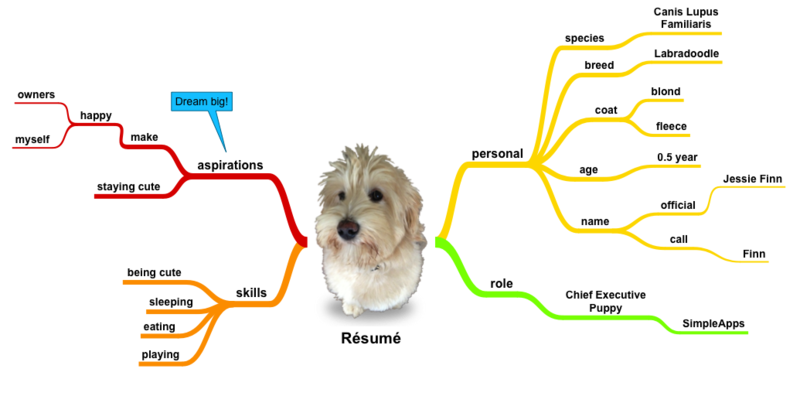 If you cannot edit a mind map, for example you are not able to edit the topic text, most likely you’ve zoomed out too much. Zooming out beyond a certain level will switch the mind map to read-only, this prevents unwanted changes. Zoom in to bring back the normal functionality. If you prefer to work zoomed out, you can adjust the editor scale. How can I delete, rename or move a mind map on my iPad/iPhone? Open SimpleMind and tap “Mind Maps” to open the Mind Map Explorer. On iPhone tap "Local" or "Cloud". Navigate to the mind map. Left swipe a little bit and tap "More" to rename, move or duplicate. Tap "Delete" or left swipe completely to delete the mind map. How can I install SimpleMind on my other/new Android device? You can install SimpleMind Pro for Android on another Android device, as long as you use the same Google ID. Read how in the Google Play Store help. The first time you start SimpleMind Pro, it will ask if you want to transfer the mind maps you created with SimpleMind Free. You’ll see a notification when this is complete. After you checked all mind maps are imported into SimpleMind Pro, you can uninstall the free version. Download and (re-)install is not handled by SimpleApps, but by the store where you purchased SimpleMind. If you have any problems, please contact the Google Play Store help. How, in what formats, can I share mind maps in SimpleMind for Android? SimpleMind Pro can import .smmx, .opml, .mm and txt files. Local mind maps are stored in a private directory on your device. This directory is not accessible from the outside. on Dropbox or Google Drive. 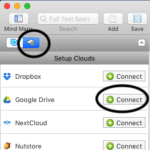 After connecting SimpleMind to Dropbox or Google Drive, SimpleMind can directly open from, or save to, that cloud. This way you can sync mind maps across devices and platforms. Advanced -in an External Directory. Mind maps can be stored in a public directory on the device. Optionally, you may use a third party app to synchronize this public directory with other devices. For the advanced Android+Windows user, you can use a third party app to synchronize this public directory. The same can be done in SimpleMind for Windows , allowing you to use alternative cloud options. Please note, we cannot offer support for this on how to make this work. This can happen when SimpleMind was not installed via the Google Play Store. For example, you used another app/store to install SimpleMind. The only way to fix this is to install SimpleMind directly in the Google Play Store. First make a back-up of your local mind maps (if you have any). Remove the app and install again from the Google Play Store. Note! 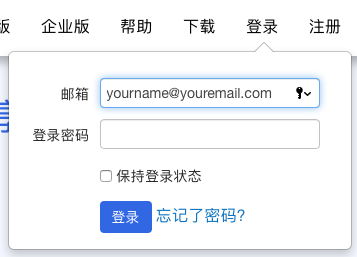 If you use SimpleMind Free, it is not possible to make a back-up. Deleting SimpleMind will also delete your mind maps. What permissions does the Android edition require? Access to microphone: required to add voice memos to topics. Recorded voice memos are uploaded to your cloud of choice. Never to our servers. We do not access the microphone for anything else. 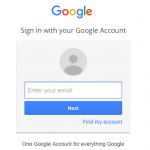 Access to Accounts (and identity): required to be able to authorize with Google Drive. This is actually a Google requirement. 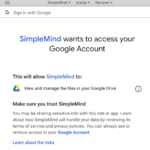 Connecting to Google Drive is the only place where SimpleMind accesses Accounts. 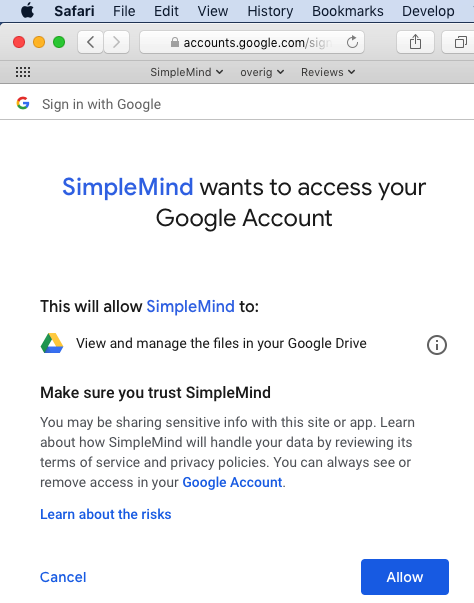 If you don’t connect SimpleMind to Google Drive, SimpleMind won’t need access to Contacts. Access to Contacts: required to be able to add or open a link to a contact. If you don't link to contacts SimpleMind won’t need access to Contacts. Access to External Storage and Documents: required to be able to exchange data with other apps and to be able to store mind maps in the “External Directory”. Access to Internet and Network state: required to be able to synchronize with clouds (Dropbox, Google Drive). Install Shortcuts: required to be able to add a shortcut to a mind map on the start screen at user request.